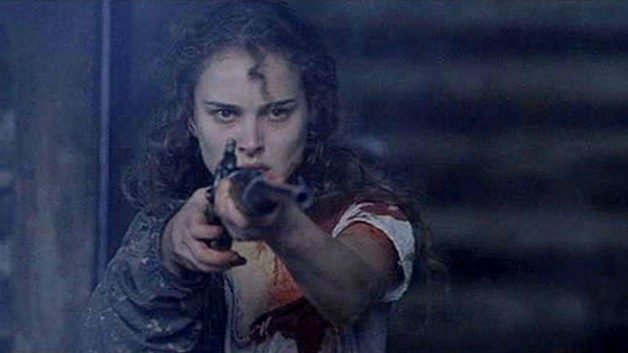 Natalie Portman’s western Jane Got A Gun has had a bad habit of losing things. First it lost actors Bradley Cooper, his replacement in Jude Law, and co-star Michael Fassbender. Then it lost its director, Lynne Ramsay. Those problems were all remedied by the additions of Ewan McGregor, Joel Edgerton, and Gavin O’Connor, respectively, but not the picture has also lost its August 29th release date in a shuffle by distributor Relativity Media. New release plans for Jane haven’t been announced yet, but it’s been effectively replaced November Man, a Pierce Brosnan spy movie that sees the former 007 trade MI-6 for the CIA. Let’s deal with Jane Got A Gun first. There are two ways of looking at the news. Relativity has a cut of the movie that’s likely close to finished at this point, given that the film wrapped last June. So it’s possible that, especially given the collective prestige of Portman (a Best Actress Oscar for Black Swan in 2011), Edgerton (raves last year for his role in The Great Gatsby), and McGregor (twice nominated for Best Actor at the Golden Globes) Relativity thinks they’ve got something of enough quality to draw awards consideration. This could have prompted a move later in the year. Fighting against that idea are a pair of factors. One, they’re moving the movie off a Labor Day weekend, traditionally a very profitable one for movies expected to play well. Two, they haven’t announced a new release date yet, which suggests more that they’re not sure what to do with the movie than they’re confident in it. Of course, this is all conjecture, but the troubled history of the production to this point doesn’t really bolster our confidence. So on to Bond…er, Bourne…er…Peter! Pierce Brosnan plays Peter Devereaux, an ex-CIA agent at the center of international intrigue in November Man. The pic is based on “The November Man” book series, specifically the seventh book in the series, entitled There Are No Spies, first published in 1987. That helps to explain the decidedly Cold War story, where Devereau, codename “November,” is pulled out of retirement for “a very personal mission and finds himself pitted against his former pupil in a deadly game involving high level CIA officials and the Russian president-elect.” That synopsis would suggest a modern update for the setting, rather than a period piece, but given recent tensions in Crimea, perhaps the story will end up more timely than originally anticipated. November Man was directed by Roger Donaldson, whose most recent work includes the Jason Statham and Nicolas Cage action vehicles The Bank Job and Seeking Justice, respectively. Donaldson previously worked with Brosnan on the middlingly reviewed tentpole Dante’s Peak, which came at the height of Brosnan’s Bond-propelled stardom. The film co-stars Olga Kurylenko (Oblivion, To the Wonder) and will be released August 27 to further capitalize on the long Labor Day weekend.